Our 18 month wedding checklist with all the latest updates will ensure your Irish wedding goes off without a hitch! 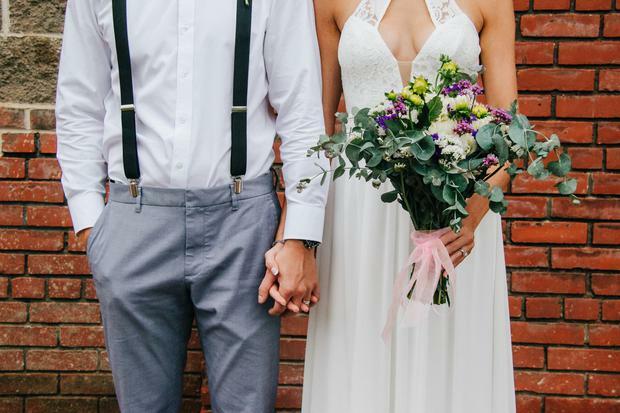 Most couples will begin ticking off boxes around 12-18 months ahead of their ideal wedding date, but if you've left it a bit later don't panic, simply adjust the checklist to your own schedule, making sure you've put the most pressing tasks at the top. Of course it must be said that this is just a guide: you may find that with your pals scattered across the globe you want to get the bridesmaids dresses out of the way earlier than others, or have a penchant for stationery design and want to use that to set the tone of the big day before you begin anything else, by all means make that a priority. Starting out with wedding plans can feel a little overwhelming for some, but there's no need to stress about the task ahead. Don't take on too much too soon, and approach it logically and step by step. Although you may envision yourselves planning everything alone, remember delegation can be key to getting things done if time is an issue. Most couples opt for 12-18 months from their engagement, however there's no issue with extending that time. Engagements are generally getting longer, and if you feel you need extra time to save or plan don't feel pressured to setting a date sooner than you feel necessary. Why not enjoy that engagement bliss for as long as you can?! Once you've come up with a loose date, now is the time to talk money. It's not the most glamorous part of planning the occasion, but knowing what you can afford and what you can realistically save now will save on a lot of messing around down the line. 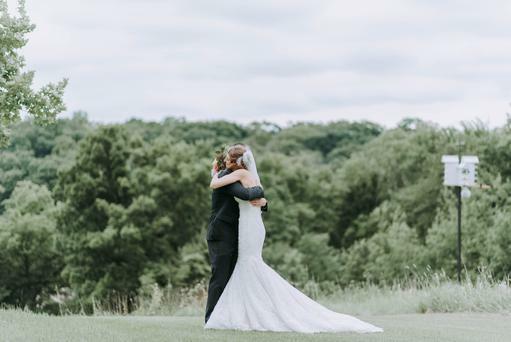 Remember to set your budget without taking in to an account any possible loans or monetary gifts you hope to receive ahead of or after the wedding. No doubt your budget will fluctuate, and you may find yourself spending less on one supplier and more on another, but knowing the ballpark you're playing in will help you to remain focused and maybe even a little bit ruthless when it comes to your finances. With your budget and date in mind, it's time to start looking at venues. There are loads of ways you could have settled on your dream wedding venue shortlist, whether you've had it in mind for years, or recommended it by a friend or perhaps you spotted it in a real wedding feature online (or on THEVOW.ie's wedding venue listings page *cough*) and now you need to begin a full investigation. Visit the venues on your list and meet with the coordinator to get a feel for the place - you should have an idea of numbers for this so keep that in mind before you go. Focus on the layout of the place, and if possible try the food (after all, the food is one of the big things guests really remember from the day!) and ask as many questions as possible about how weddings are run. Enquire about accommodation and block book rooms if possible. As mentioned above, you'll want to have an idea of numbers before getting serious about booking your venue, so these two can be done around the same time. There are two ways of doing your guest list: include everyone and anyone you think you'd like to be there and then whittle it down (and burn the list after lest anyone get their hands on it!) or stick with those you are 100% sure you will invite to the day. Start popping names down on a list of people you really want to be there, and get close friends and family to save the date (particularly important if they are living abroad). Whether you're having a civil, humanist, church, spiritual or other ceremony, contact the relevant parties to ensure their availability for your date. No matter what type of ceremony you're having, you need to contact the HSE to register your intent to marry. This needs to be done at least three months before you plan to tie the knot, but it's best to arrange your appointment earlier in the process and tick the box off. Humanists are becoming increasingly popular solemnisers for Irish weddings, and can book out a year in advance so do your research now and secure your ceremony so that it's exactly what you want. If you're getting married in a church, contact the priest and find out what you need to do to secure your date. When the big day has been and gone, the photos (and memories!) are there to cherish as a reminder of the guests and day itself, so it's worth putting some effort into finding the right person to capture that in a way you'll love. Many of Ireland's top photographers and videographers book up over a year in advance, so if you have an idea of who you want to capture your day, contact them to enquire about availabilty. Often if your first choice isn't available they'll recommend a similar style supplier so you won't be too disappointed! Consider having an engagement photo session done with your photographer to get to know them and find your footing particularly if you're camera shy - the photos may even come in handy for your wedding website or stationery! 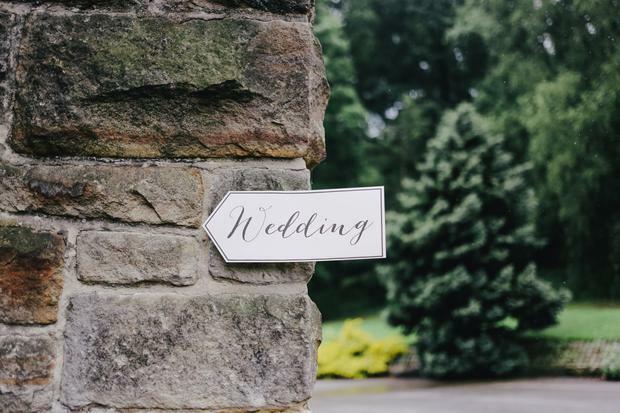 With the cost of the average wedding an eye-watering €20K+, many couples are considering taking out insurance on their day to cover the costs in the event of cancellation etc. Do your research, read the small print, and make sure you're happy with what's covered. Along with the food, the music is the big ticket item in making your wedding day a hit with your guests. Like many of the more popular supplies, wedding bands can book out fast, particularly for bank holiday and weekend weddings in the summer. Start researching the style you like and if you can, get down to one or two gigs to see a band or two and find out what they're like like. Speak to friends and family members and get some recommendations, then get them booked in. Many brides are suprised to hear that make-up artists can book up very fast for weddings, so if you've someone you really want on-hand to prep you for your close up, get them locked in. 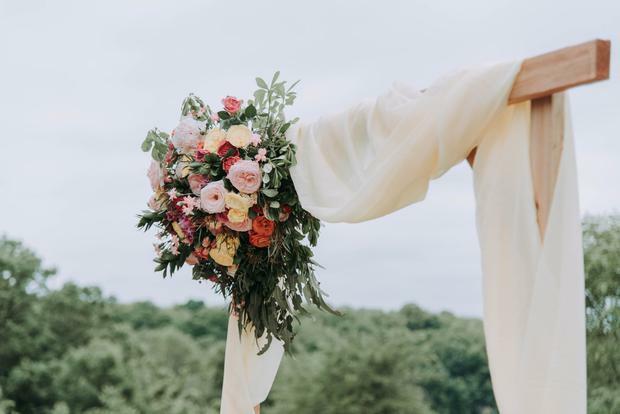 It's either the thing you're looking forward to most, or the thing you're most dreading, either way, it's time to tackle the bridal boutiques. Start by browsing some pics and saving what you like (and importantly, noting what you really don't like), and book yourself an appointment at a wedding store. You don't have to take your mammy yet remember, you could even go alone if you just want to get things done, but try on a few gúnas and find out what suits you. Some women pick the first dress they try on, others get in and out of forty gowns before they find something they feel truly comfortable in. Whatever way your search goes, you'll be happy to know you've something to wear on the day, even if you've nothing else sorted! Decide if you're having bridesmaids and/or groomsmen and let you pals know who's on the team. Have a chat about dresses/suits to get some ideas, and maybe give a few hints as to what type of hen/stag you'd like to send you off! If you're getting your invites specially made, contact your chosen designer now to begin the process. Generally invites are sent however if yours is a destination wedding it's prudent to send invites a little earlier. Save the dates are a good idea if you're getting married on a bank or public holiday, or if you've lots of friends living abroad. These can be informal, paperless reminder sent via email with a follow on text to those you think may not check online that often. 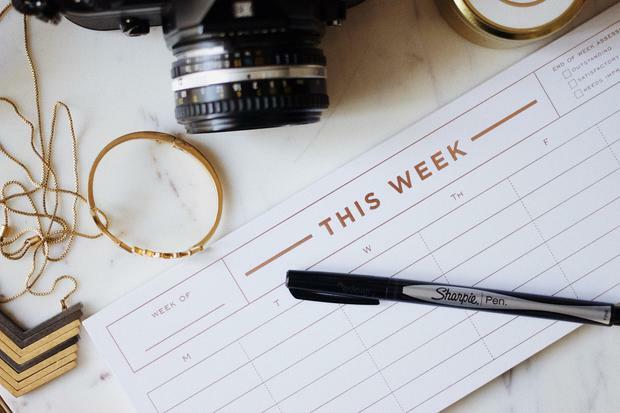 If you're sending save the dates, set up a brief wedding website now, if you're having one, where you can pop up details on the day for guests to see as they become available. Get dress shopping with your girls (or guys) and you'll start to see a 'theme' of sorts emerging for the day. Research and choose your florist and cake maker if needed, and meet with suppliers to discuss budget and requirements. Yay cake tasting! If your budget allows it (IF!) you could begin to consider adding extra details to your day. Items like floral arches or pew ends for the ceremony, specially illustrated table plans and name cards, and other items that will take time to personalise professionally should be set in motion now. Book any extra musicians or entertainment required for the day, and contact specialised suppliers. If you plan to head away after the big day, begin researching honeymoon options now. If your destination requires vaccinations, book them in. 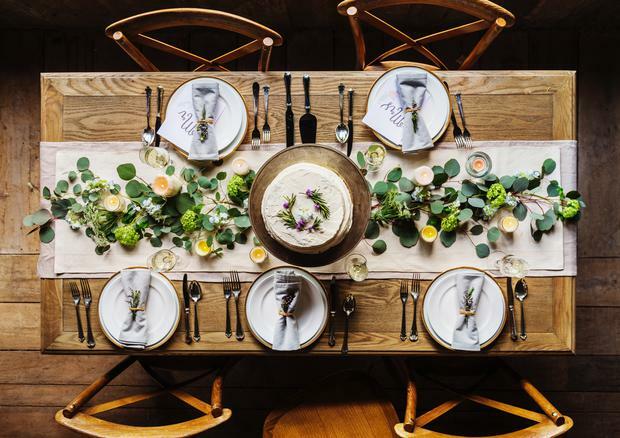 If you're considering celebrations surrounding the big day such as a rehearsal dinner or day after celebrations, begin looking at options now, particularly if you need to book caterers, rooms or entertainment. You might have found yourself caught up in flower walls and edible favours (get off Pinterest now! ), but if you want your ceremony to be memorable you should take the time now to put the effort in. From the music to the readings to the all-important vows, a truly special ceremony comes from the heart and is filled with lovely words that are personal to the couple. Begin compiling how you would like yours to look and feel now (not just the decor!) and keep your solemniser/celebrant/priest in the loop when you've finalised your ideas. Shoes and jewellery for the bride and bridesmaid can be purchased now so your look is set in stone. 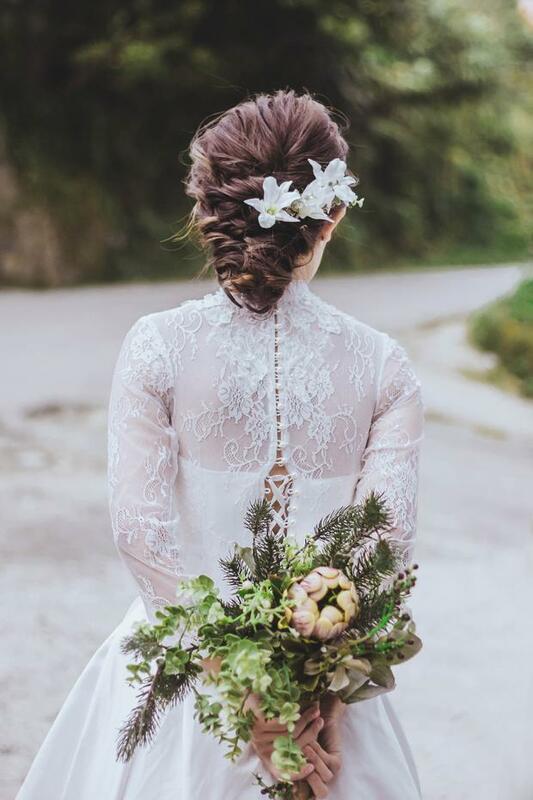 Get any headpieces sorted so you know how the hair will look, and make sure you've the right underwear for your dress (this allows time to get something made if needed). Time to go shopping for the boys. Allow extra time for tailored suits, or book in your date if they're on hire. You may want to leave this until the last minute if they're growing particularly fast, but start looking for outfits for your extra party people. Generally wedding invites are sent around two months in advance to give time to RSVP, chase RSVPs and then to literally visit the houses of invited guests, stand over them and tell them you're not leaving until they've confirmed they are coming via email (you'll understand when it's time). If it's a weekday wedding, remember guests need time to book annual leave from work, so it would be worth sending a little earlier in this case. Also if it's a popular weekend guests will need plenty of time to book accommodation in the area. There's no settled date to have a hen or stag, but if you're heading abroad or going down the country for a night or two, one-two months ahead of the day is ideal to spread the celebrations (and costs) out. If you're having children at the wedding, give them some time now by considering adding something to the day for them. Little things like goodie bags at their place setting can make them feel really special. Depending on your company and situation, book your time off work if you haven't. Many couples like to take two-three days lead up to the day off, as well as a few after, just to finalise everything and wind down ahead of the day. Don't leave it too late! If you're having a tasting with your venue/caterer pencil it in for three - four months out. Time to get excited!